Brand warfare is an interesting concept. Ever since the second coming of WWE's brand extension, Survivor Series has become the permanent home for brand warfare. It is now the one night of the year fully devoted to matches pitting Raw superstars against Smackdown superstars. It is always fun and a constantly intriguing concept filled with lots of storyline potential. However, it does halt the normal proceedings on both shows and may detract from primary storylines. But then again, if we sit down to scrutinize every move WWE makes, we will be left with no satisfaction. Sometimes we should just sit back and enjoy the show they put on for us, suspending our disbelief. The feud between the Red and the Blue brands have been a bit forced at times, but it remains one of the most entertaining of the year. Plus, you cannot really complain about the wrestling. Smackdown's invasion of Raw was a really cool moment. For every time Smackdown and Raw have feuded going into Survivor Series, there has been a couple of high profile invasions on both shows. It happened in 2005 and 2016, with some really fun and entertaining segments but the chunk of the brand warfare drama came last year and was sparked by two words, Under Siege. 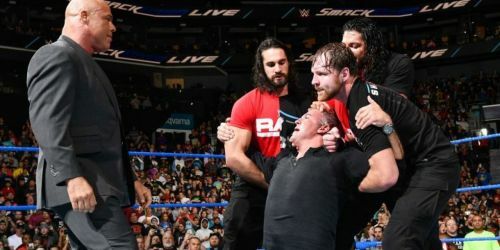 Shane McMahon, the commissioner of the Blue brand, led his troops to invade and decimate Raw. They did so in an extremely compelling fashion. With four weeks left for Survivor Series, we knew that Raw would strike back. We just did not know when. Along with the looming threat of the Red retaliation, we got a few entertaining title matches in the lead-up to the various Champion vs Champion matches on the show. AJ Styles winning the WWE title from Jinder Mahal in Manchester ranks up as one of the greatest moments to ever happen at a WWE taping in the UK. 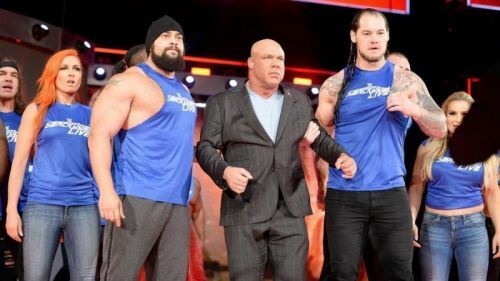 Raw eventually struck back at the final Smackdown before Survivor Series, launching a fierce and brutal attack on the Blue brand. Segments like these are the reasons why most of the excitement is built up towards the Smackdown vs Raw concept at Survivor Series.